LAKEWOOD, Colo. – Late last year, the Colorado Department of Agriculture adopted the first industrial hemp rules in the state’s history; producers can begin to register with CDA’s industrial hemp program on March 1, 2014. However, potential registrants should be aware of uncertainties that still exist because of federal law. Seed Procurement/Seed Quality--Seed that exists in Colorado may be variable and have unknown THC levels. 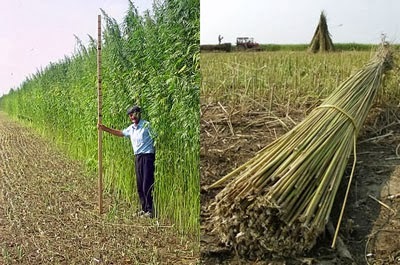 Random sampling of hemp fields will be conducted. Plant samples testing at levels higher than 0.3 percent THC will be in violation of the Colorado Industrial Hemp Registration and Production Act. Importation of viable industrial hemp seed across State lines and Country boundaries is illegal under the Federal Controlled Substances Act. Pesticides--There are not any pesticides (herbicides, insecticides, fungicides, etc.) currently registered for use on Cannabis spp. (Industrial Hemp and marijuana) due to the predominant federal nature of pesticide regulation. The CDA is putting together a list of pesticides that could be used on Cannabis spp. and not constitute a violation of pesticide labeling or other federal and state pesticide laws and regulations. This list will be extremely limited. Processing--Industrial hemp must be processed prior to shipment out of Colorado. Colorado’s industrial hemp rules state that industrial hemp producers must provide documentation of in state processing as part of registration. It is unknown at this time how many processing facilities will be available in Colorado at time of harvest. Producers must register with CDA by May 1, 2014, if they would like to grow industrial hemp during the 2014 growing season. The annual registration fee for commercial production of industrial hemp will be $200 plus $1.00/acre. The annual registration fee for production of industrial hemp for research and development will be $100 plus $5/acre. All registrations will be valid for one year from date of issuance.